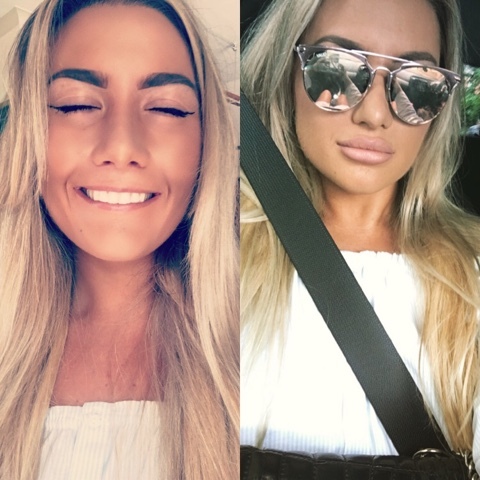 After getting my first set of lip fillers waaaaay back in 2014, (read about it here) I have been dying to get them done again, but never really got round to it. Originally I got them done in Sheffield at a dental clinic, but now that I live back in Preston it's not like I can just pop round. There are SO many lip filler horror stories in the press at the moment, and although I'm not stupid enough to go to somebody who isn't registered, or book something on impulse just because they have a huge money-saving offer on, I still needed to do my research. I noticed a company called Flawless Cosmetics pop up quite often on my Twitter and Insta-feeds, so when my friend mentioned about getting them done before we go to Barcelona next month I started doing some serious stalking. They have thooousands of followers, the majority of which seem to be happy customers as opposed to spam accounts, and there are so many examples of previous work, ranging from 0.55ml all the way up to 5ml! So it made it a lot easier for me to get inspired for how big I wanted to go! It just so happened that Holly had a cancellation last Saturday and could squeeze us in! 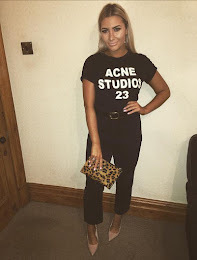 We drove to Zest in Liverpool where she was based for the day. We both decided to opt for 1ml and Holly used a thick Juvaderm filler as I explained that I wanted a really full pout- plus it lasts longer! I won't lie- IT HURT SO BAD! Way more than I remembered. The middle of the lip is so sensitive and I could feel the Juvaderm being moulded into the shape of my lips and UGH it was such a weird sensation. And not the good kind. OK, so my lip wasn't THAT thin before lollllz. But I feel like it was significantly smaller than my bottom lip, and it bothered my that it turned completely non-existent when I smiled or laughed. So I wanted my lips evened out and plumped up. I really like the shape of my lips so Holly made sure to accentuate that. ..........AAAAAND the not-so glamorous part of getting fillers- THE BRUISING. And the swelling. But remember- we have just been stabbed several times in the mouth with a needle so what do you expect? The photo above was taken the day after, as you can see Sarah's bruising is so bad! But this will eventually reduce. Excuse the unflattering screen shots from my Snapchat story but I wanted to show how swollen my top lip was yesterday! I kind of felt like the elephant man but I LOVE a full, juicy set of lips and already can't wait to go back to get a top up in around six months time. 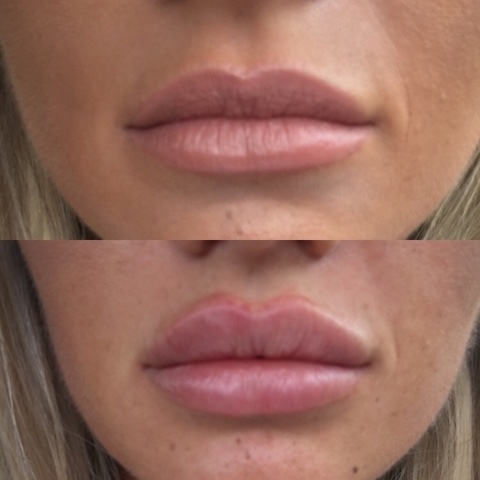 Would you ever get lip fillers? What are your thoughts on cosmetic surgery? Your lips look great with and without the fillers! I love the Quay sunglasses! ALL THE ENVY. I am getting on this asap. With the development in the cosmetics business and presentation to individuals,aloe vera cosmetics the magnificence items have now turned out to be broadly accessible at different stages in the open market. Here's a great website with cheap prices where you can Buy Dermal Fillers Products online with delivery within 36 hours!